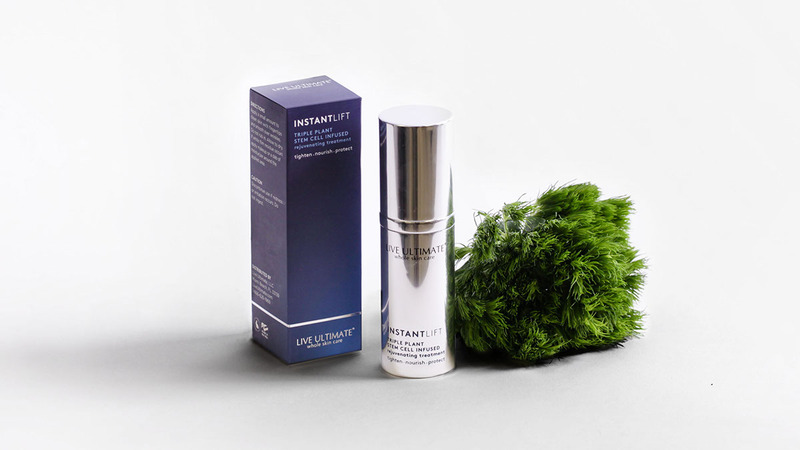 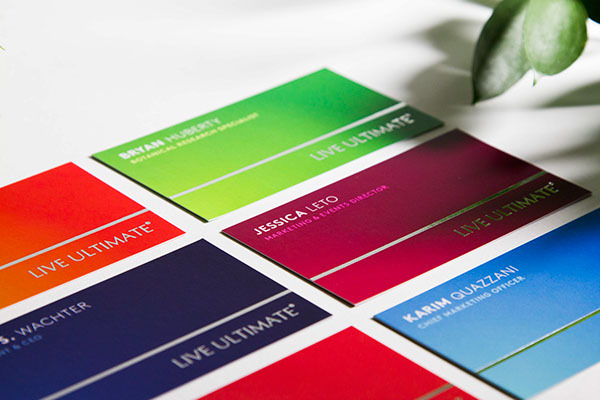 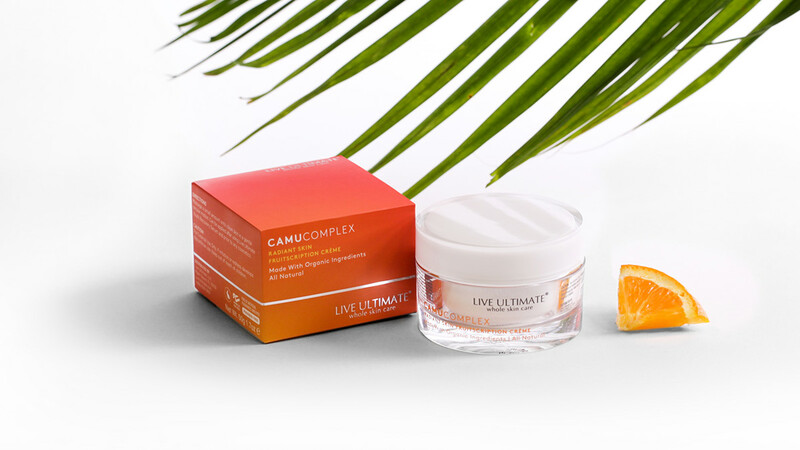 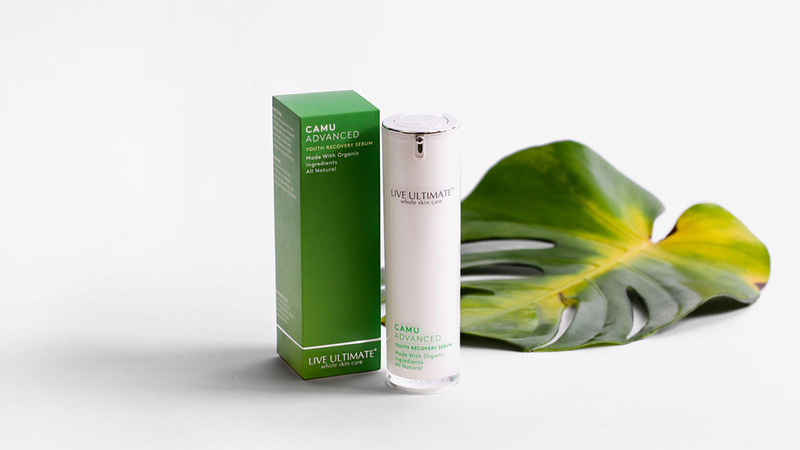 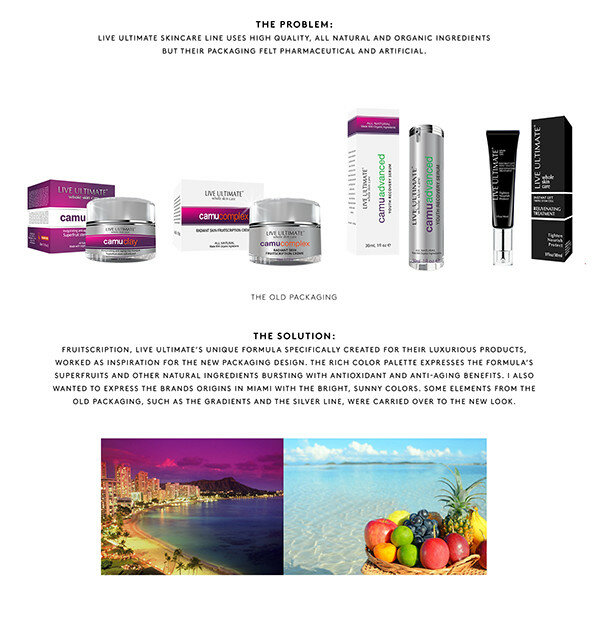 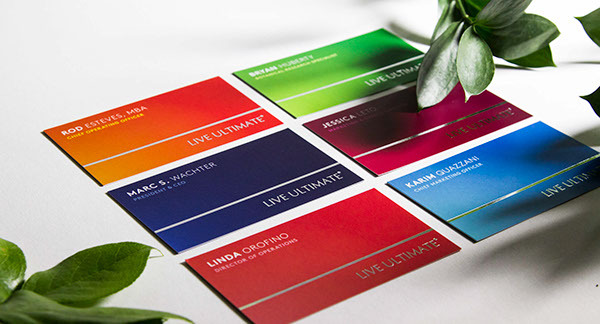 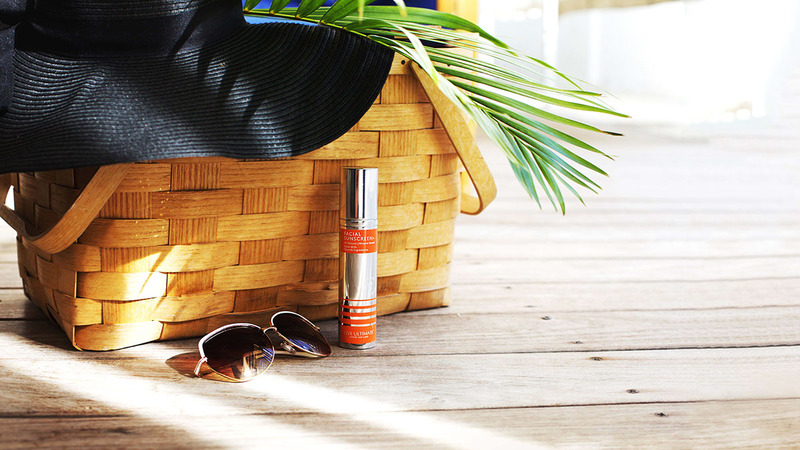 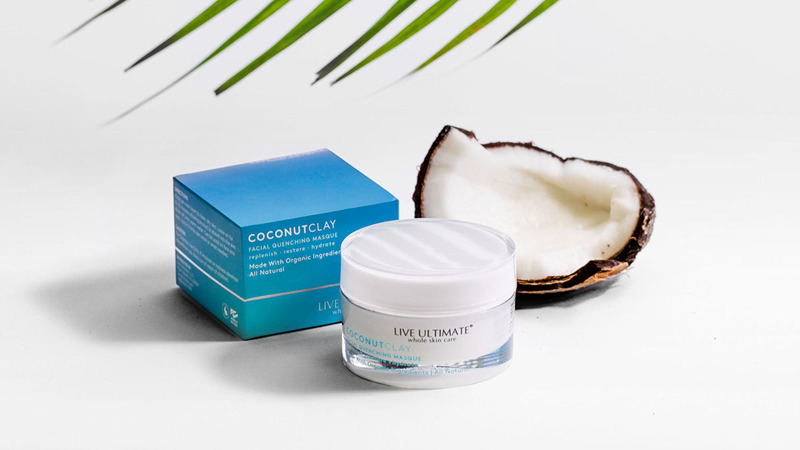 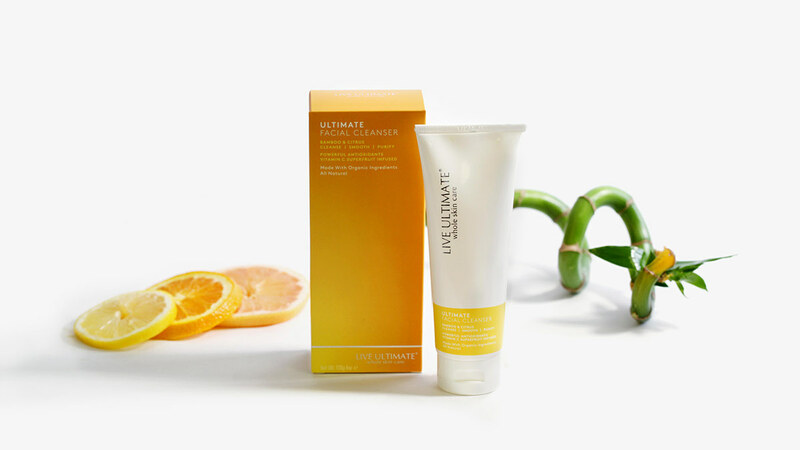 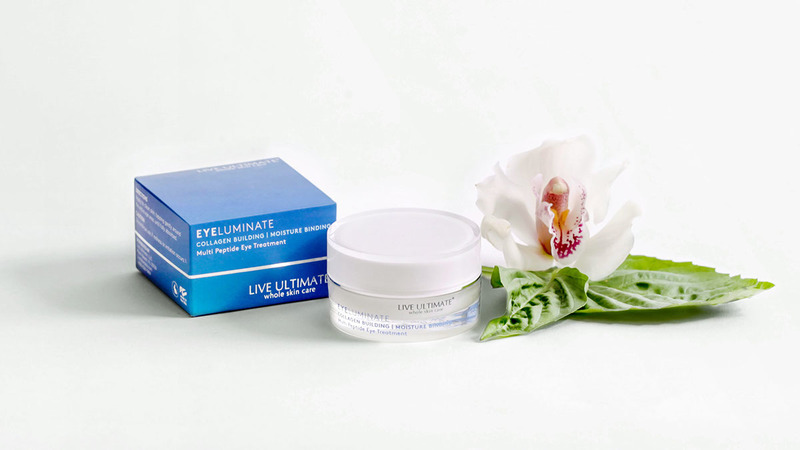 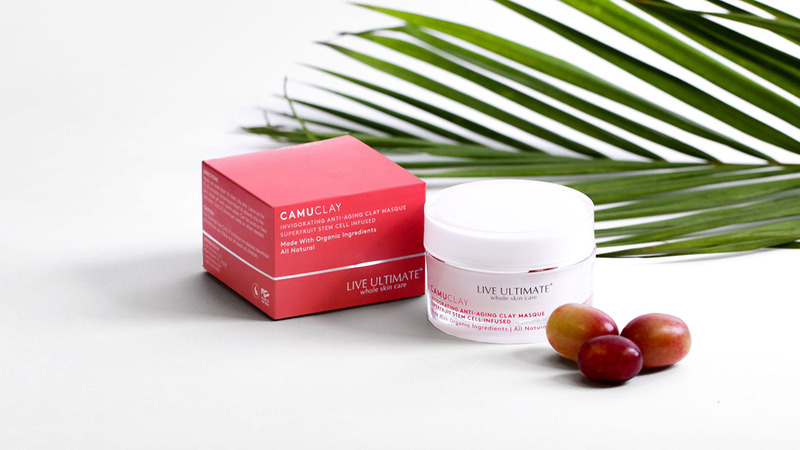 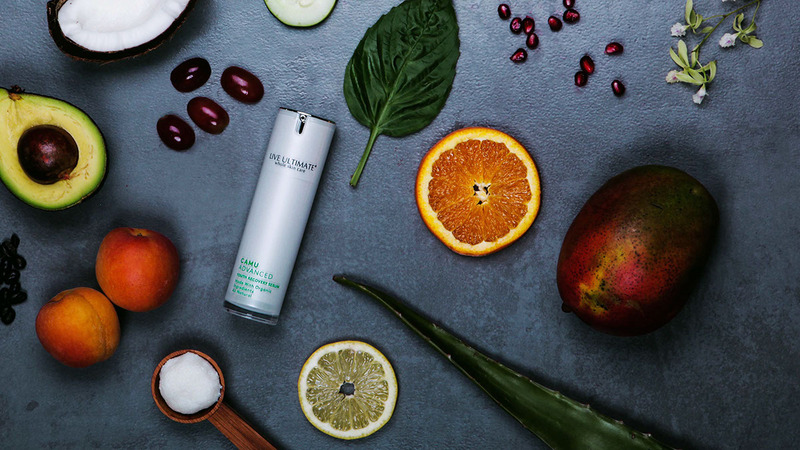 Live Ultimate needed a rebranding for their skincare line, because the old packaging didn’t reflect the natural ingredients of the products. 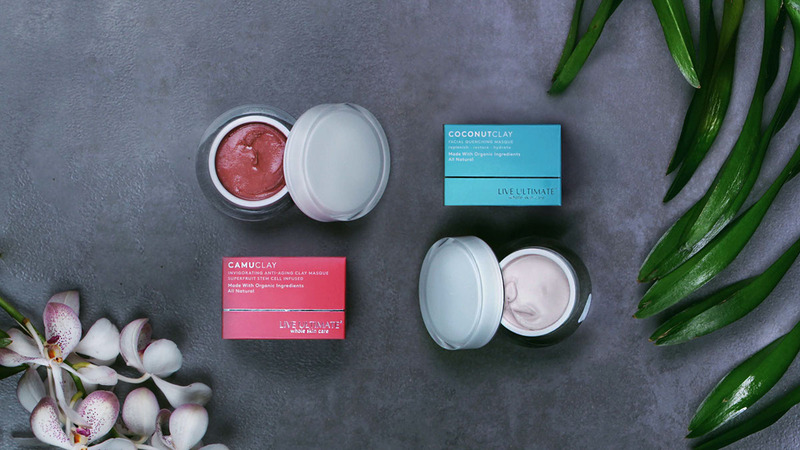 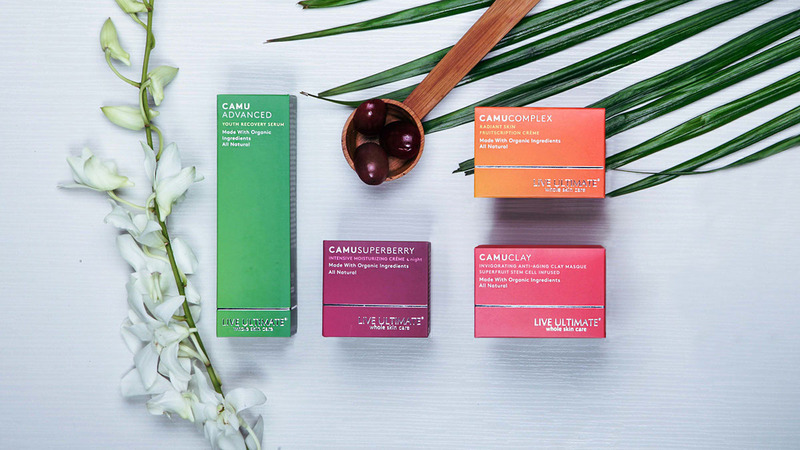 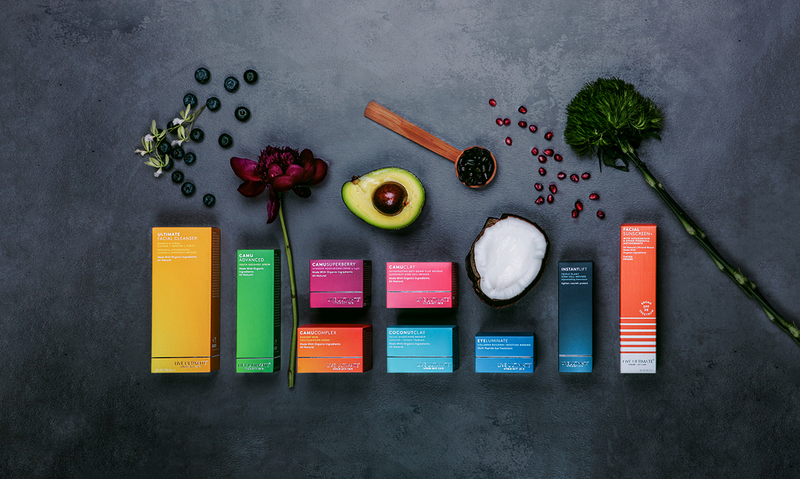 The new packaging design communicates the all natural and organic, luxurious ingredients through the rich color palette. 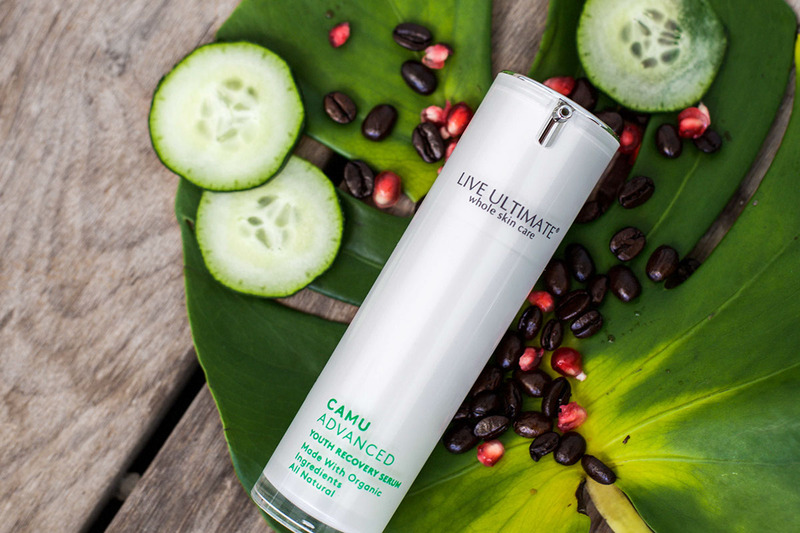 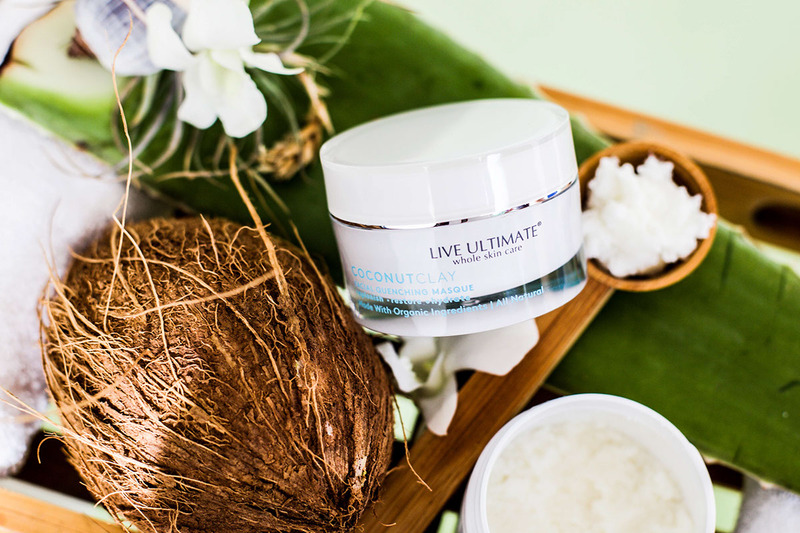 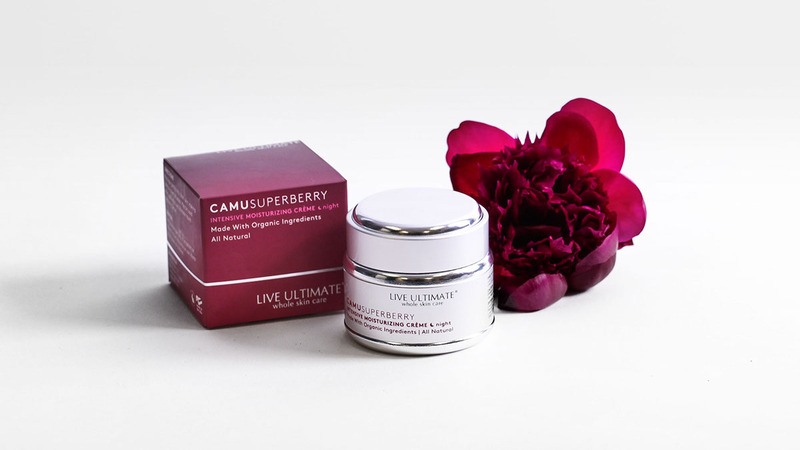 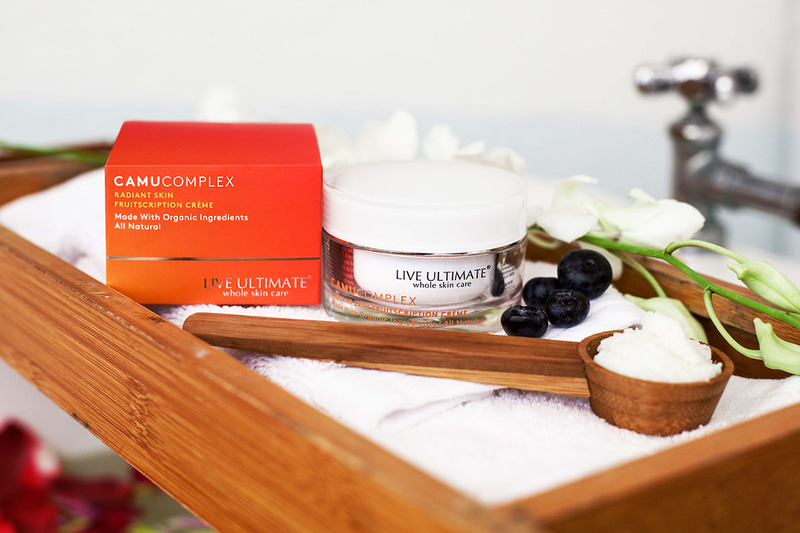 It was inspired by Live Ultimate’s unique formula, which consists of nutritious superfruits. 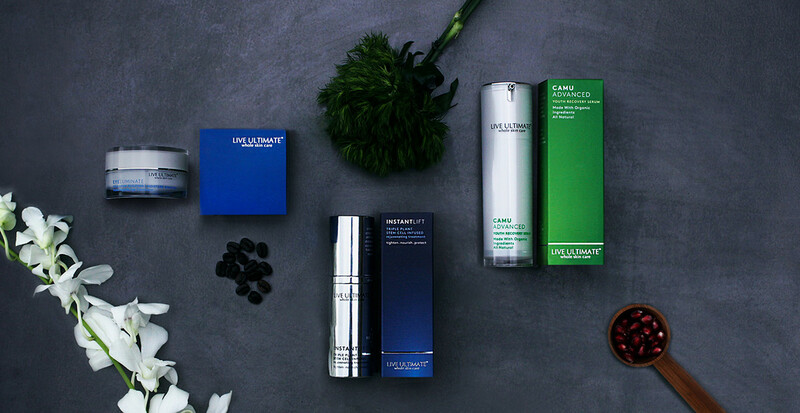 The clean and minimal look makes the line harmonious and modern. 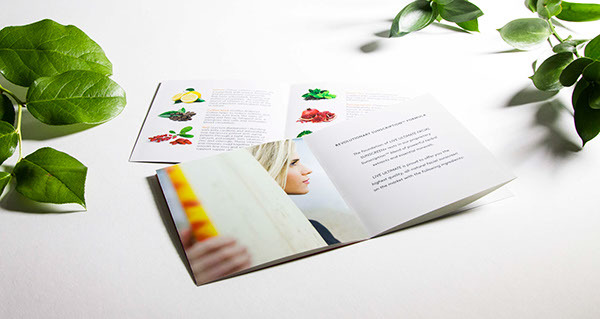 Photography by Saana Hellsten.